Intellinet Knowledge Base - Can I control the amount of bandwidth available for my guest network? Yes. Upload and download bandwidth can be controlled in the guest configuration of the administrator Web interface. 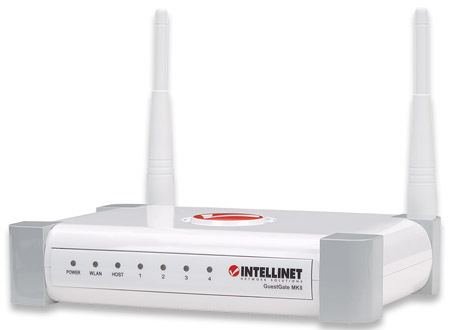 The bandwidth control limits the bandwidth that GuestGate can use, regardless of how many guest users are connected to the device. So, think of it as a global bandwidth cap.